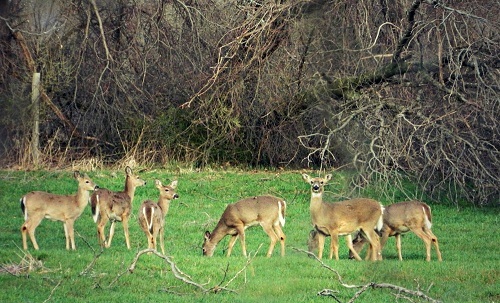 About 15 deer came thru our street tonite, one of them kept jumping up and kicking the others! They munched on everything they could get a hold of! I got this (kind of blurry) shot while driving over to the dry cleaners, and on my way a mama deer and her twins crossed the road in front of me AND I MISSED THE SHOT. boo. 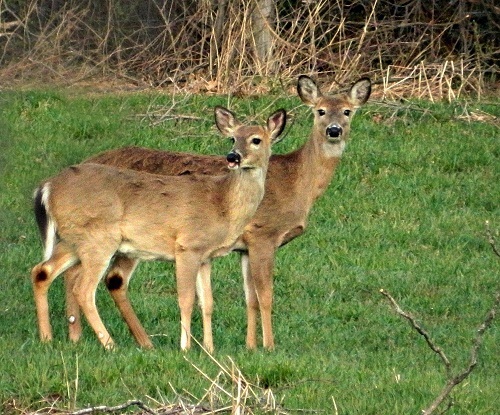 I hadn’t seen any deer yet this Spring, keeping an eye out in all the usual places – until we passed the whole herd in a field on the way home tonite! No babies in this group though.